Home » Posts » Dentistry » restorative dentistry » Dental restorations: repair or replace? The replacement of defective dental restorations in dental practice is a routine activity in dental practice either because of recurrent disease tooth or restoration damage or defect. Typically, this involves the complete removal of the previous restoration which result in additional tooth removal. There is however increasing interest in repair or marginal sealing rather than complete replacement. The aim of this review was to assess if there is difference in the longevity of minimally invasive techniques compared to the complete replacement for the treatment of defective direct restorations in permanent teeth. 8 studies compared replacement with repair, 8 compared replacement with sealing and 5 replacement with refurbishment. 4 studies were at low risk of bias, 3 at high risk and 3 at unclear risk of bias. Findings suggested similar outcomes when the replacement and minimally invasive techniques were used (repair or seal), regardless of the material used (composite resin or amalgam). The authors report high quality GRADE evidence of repair and refurbishment comparisons, and moderate evidence for sealing comparisons. The direct restorations treated by the repair, seal and refurbishment techniques did not present a significant difference in clinical longevity in comparison to the replacement technique in permanent teeth with overall moderate quality of evidence. Two Cochrane reviews published in 2014 (Dental Elf – 11th Feb 2014 – 12th Fed 2014) found no RCTs assessing the effectiveness of repair and replacements of restorations. Two of the studies included in this review published prior to 2014 were excluded by Cochrane as they were considered to be prospective cohort studies. It is also interesting to note that the authors report a general a lack of clarity in reporting allocation concealment in the studies (one of the Cochrane risk of bias tool criteria) yet all but 3 studies are considered to be low risk for this. This suggests that the risk of bias assessment for the included studies is generous which will impact on the reported overall GRADE assessments. There is increasing interest in repair rather than replacement of defective restorations and more research is required not just into its effectiveness both in the short and long term but also patients and professional perceptions and its cost effectiveness. de Carvalho Martins BM, Nogueira Leal da Silva EJ, Masterson Tavares Pereira Ferreira D, Rodrigues Reis K, da Silva Fidalgo TK. 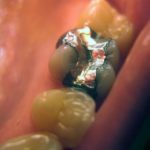 Longevity of defective direct restorations treated by minimally invasive techniques or complete replacement in permanent teeth: A systematic review. J Dent. 2018 Nov;78:22-30. doi:10.1016/j.jdent.2018.09.001. Epub 2018 Sep 3. Review. PubMed PMID: 30189230.